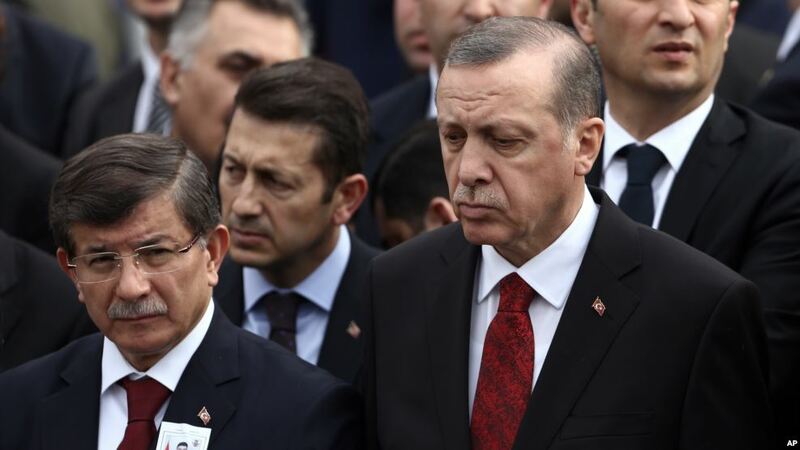 Indeed, the announcement that Davutoglu was going to step down did not come as much of a surprise, since his conflict with the Turkish President has been known for a while. The reason for this conflict is pretty simple – power. Turkey is a parliamentary republic, therefore the position of a president is formal in its nature. There’s little doubt that Erdogan has been reluctant to accept this ever since the day he became the Turkish president. He has not made it a secret that the new draft of the constitution transforms Turkey into a presidential republic. Davutoglu was “marked” so to speak last April, when he was deprived of the authority to appoint leaders of regional offices of the ruling party, largely due to the fact that he dared to disagree with Erdogan on a large number of issues: the Kurdish question, freedom of speech, the European refugee crisis and so on. Therefore, most media sources agreed that Davutoglu’s resignation is a clear sign of serious differences with Erdogan. In an interview with Hurriyet Daily News, Davutoglu would admit that he was forced to resign even though he was reluctant to do so. Therefore, for the first time in Turkey’s history the Prime Minister resigned not due to the collapse of the coalition or a vote of no confidence, but due to internal disputes within the ruling party. For the first time since the days of Ataturk the president is deciding who is going to head the Turkish cabinet. Regardless of who is going to occupy this position, the actual head of the government is and will be President Erdogan, who has been pursuing such power for years. Unlike Erdogan, who grew up in Istanbul’s slums, and learned to claw his way up by trickery and deceit, Davutoglu grew up in a well-educated family. Over the years he has been employed by the department of international relations at the University of Marmara, and was a visiting professor at Turkish military academies. in 2003 he was presented with the rank of Ambassador Extraordinary and Plenipotentiary. That is why Erdogan was carefully and zealously tracking all the steps that Davutoglu was making, along his contacts with Chancellor Merkel and other EU representatives. In the meantime, he tried to find a replacement that would cement his plans to change the constitution and enable the transition of Turkey into a presidential republic. Among such “proxy” candidates one can name: Justice Minister Bekir Bozdag, Minister of Health Mehmet Muezzinoglu, Minister of Transportation Binali Yildirim, Deputy Prime Minister Numan Kurtulmus, and Minister of Energy and Natural Resource Berat Albayrak. As for the fate that awaits Davutoglu, he’s more of an intellectual character than a street fighter, so he will directly confront Erdogan only if he has the support of the West. And there’s every reason for the West to provide it. After all, Washington and Brussels have nothing to gain from the rebellious madman holding the position of Turkish president, a position that is becoming stronger by the day. Davutoglu, in comparison, is considerably more humble, not interested in making a cult out of his personality, and he’s always willing to negotiate. That is why Western leaders are sympathetic with Davutoglu. One shouldn’t forget that during their visit to Turkey, German Chancellor Angela Merkel and the President of the European Council Donald Tusk met with the Prime Minister, not the President. Hillary Clinton also strongly supported Davutoglu and she’s going to visit Turkey soon. In addition, the resignation of Ahmet Davutoglu jeopardizes the implementation of the migration agreement between Brussels and Ankara, notes the Financial Times. But sympathy – is one thing, and the actual political support – quite another. Erdogan may be controlling the ruling party, but not the state. Turkey is being plunged into political chaos, with the ruling AKP finding itself opposed by both the army and the political opposition, along with 22 million Kurds led by the banned Kurdistan Workers Party (PKK). In this case, civil conflict could result in the collapse of the Turkish state with the Kurdish areas (the entire South-East Anatolia) breaking away, seeking ways to create an independent Kurdistan that will absorb certain areas in Syria and Iraq, changing the whole balance of power in the Middle East.